The Dumien name can be found mentioned in Cornas as far back as 1515. In 1925, before Cornas was recognized as an AOC in 1938, the family purchased the 1.8 hectares of vineyards which constitute their current estate. Most of this land- 1.5 hectares of it- is found in the Patou vineyard, which has primarily granitic soils; the remainder is located in Les Savaux. The vines in Patou date back to the 1920's, with some even exceeding 100 years old. After years of selling in bulk to negociants such as Delas, Chapoutier and Jaboulet, Domaine Dumien-Serrette began to bottle their own wine in 1983. Although Serrette isn't certified, they use only organic fertilizer. The vines are trained into two-vine canopies to protect against wind and hail. The Patou vineyard is very steep and Gilbert, who is in his 60's, still insists on tending the vines using a special cart he invented which pulls him slowly up the rows while he works. Since the 2010 harvest, half of the fruit has been de-stemmed; grapes are pressed with an old-fashioned basket press and aged 2 years in 2 to 7-year-old barrels. The estate's total annual production is around 300 cases (600 in 2014) and Madame Serrette still labels each bottle by hand. Gilbert increased his prices only minimally over the years, and as the winery is tiny, his son Nicolas works full-time in IT in addition to managing the winery. Bucking current trends, he did not attend wine school or receive any type of formal training. 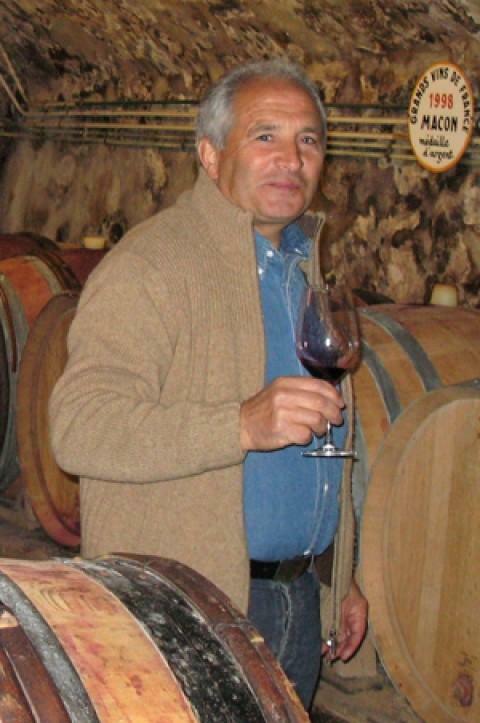 Instead, as the Serrette family has done for generations, he learned winemaking from his father, Gilbert. This is simply great wine being made in a traditional manner. If things never change here, we definitely won't mind.